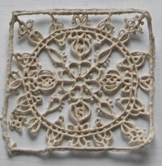 This lace work by Jessica Pezalla inspired another method of creating the patterns I’m looking for. I spent some time looking through her website, but unfortunately she doesn’t really explain much about the way she works, or anything at all for that matter. 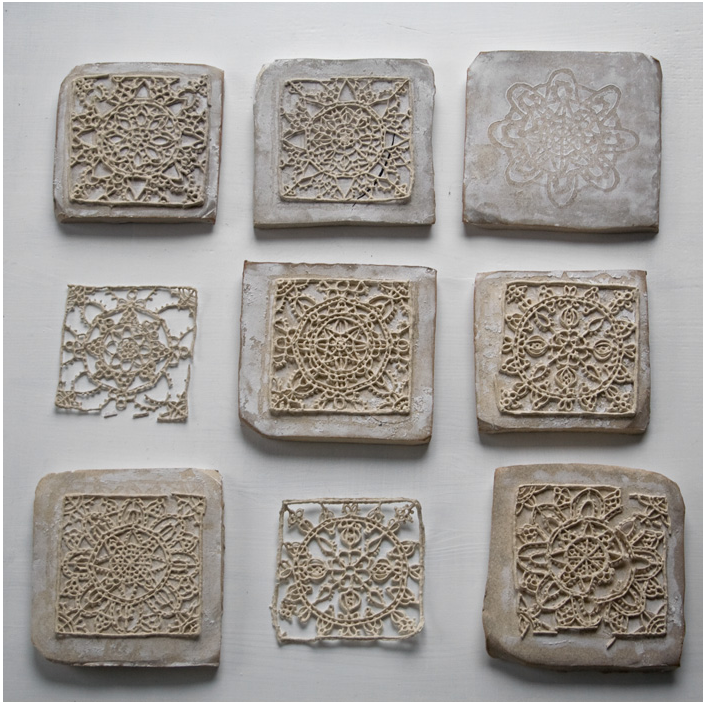 I want to try piping out a thicker version of casting slip to outline patterns in a style very similar to these lace tiles and after the design is drawn out I will go back in and fill the spaces with colored casting slips. Megan, these are a beautiful inspiration! You should look into the work of Kate Roberts, she made an entire dress from slip-trailed tiles for the 2011 NCECA Biennale, her work is amazing and I think you might really like it. Wow those are gorgeous… Thanks Jess!